Hossein Abedini, member of the Iranian parliament in exile and part of the Foreign Affairs Committee of the National Council of Resistance of Iran (NCRI), published an op-ed in the Wall Street Journal on Tuesday, the 24th of July. The piece, entitled ‘Iranian Terror on European Soil’, recounts the harrowing attempt on his life in 1990. On March 14th, Abedini was in Istanbul. He was in a car, traveling to the international airport before a flight. He remembers how on this journey, without warning, a car blocked the road in front of the vehicle. At the same moment, another car approached Abedini’s vehicle from behind, and two armed men jumped out. In a moment of panic, Hossein rushed them, armed with nothing but his briefcase. As one assailant’s gun jammed, the other was able to fire at Abedini nine times. Abedini was badly hurt, and the injuries he sustained left him fighting for his life. He was taken to Istanbul’s International Hospital where he remained in a coma for 40 days. As Hossein lay in a hospital in Istanbul, his survival uncertain, the state-run media in Tehran was reporting that Mohammed Mohaddessin had been killed in Istanbul. Mohaddessin was the chairman of the NCRI Foreign Affairs Committee. It became clear that Mohaddessin had been the intended target of the attack. Even as the Iranian regime realized that it had failed in its objectives, and Abedini had survived the attack, it sent agents to finish the job. Hossein recalls how “one on occasion agents disguised themselves as Turkish police; on another, they pretended to be friends coming to visit”. 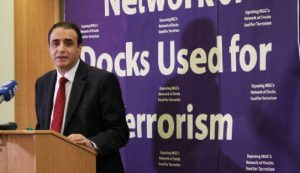 Abedini survived the initial attack, and the subsequent plots against his life while he remained in hospital, but, he explains, many were not so fortunate. In 1990, the same year that gunmen opened fire on Abedini, Kazem Rajavi, a human-rights activist, was killed in Geneva. Two years later, several Kurdish activists would also be shot and killed in plots that would later be linked to the Iranian leadership. The recently foiled terror plot in Europe evokes flashbacks of the bloody killings and state-sanctioned terror plots of the 80s and 90s. The Iranian regime attempted to detonate a bomb at the Iranian opposition’s Free Iran Gathering in Paris on June 30th. Belgian authorities arrested a Belgian couple of Iranian descent with more than 1lb of explosives and a detonator in their possession. The pair received the explosives, along with their instructions, from Assadollah Assadi, a station chief for Iran’s Ministry of Intelligence and Security (MOIS) operating in Vienna. He had met with the couple in Luxemburg in June and given them detailed instructions to attack the Free Iran Gathering. The annual gathering drew a crowd of more than 100,000 NCRI and MEK supporters from around the globe. Delegations of politicians, journalists, and activists were present from the US, Canada, the UK, France, and many other nations. While it is unclear at this moment exactly who the targets of the plot were, it is evident that the consequences would have been catastrophic. Abedini goes on to call the plot, “the most recent example of Iran using diplomatic cover to plot terrorism in the heart of Europe”. Assadi’s role as a diplomat at the Iranian embassy in Vienna means he was free to carry out covert activities in Europe under the cover of diplomatic immunity. 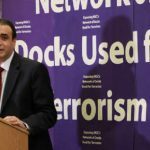 Abedini urges the European heads of state to realize that they “can’t conduct business as usual with a state that has institutionalized terrorism as statecraft”. The foiled plot has exposed Iran’s embassies in Europe as “centers of terrorism and espionage”. In Abendini’s eyes, European governments must expel Iran’s diplomats and intelligence agents and release the details of their investigations to the public. Only then can “the world cripples the Iranian regime’s terror machine”.